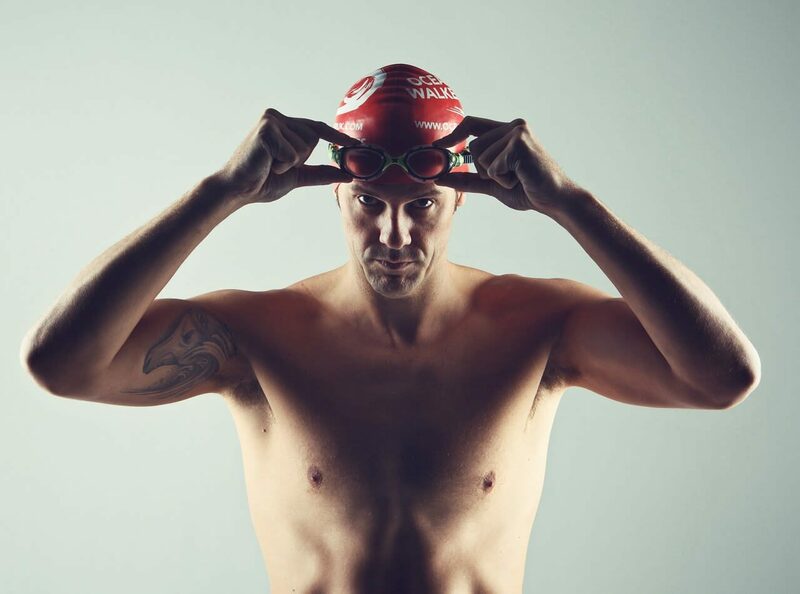 Adam Walker is a record breaking ocean swimmer and author who is hugely motivated and dedi-cated and can inspire any audience with his key note speeches and great after dinner talks. Ocean swimming is widely regarded as one of the toughest sports in the world and finds people like Adam swimming in only trunks and a nat, with no provision for wet suits. Going against nature and tumul-tuous seas, Adam has to swim all day long with no rest and battling big swells, freezing water tem-peratures, sharks, other deadline sealife, big currents and plenty more, all while trying to complete around 25 miles per day, often in darkness. It was back in 2007 and seeing an in flight film ‘On A Clear Day’ that inspired him to start up in the sport and then just a year later he swam the English Channel. He did so in 11 hours 35 minutes and then went on to swim the seven toughest swims in the world. Since then he has broken many rec-ords including in 2010 being the first Brit to swim from Spain to Morocco. Amazingly, on one of his swims in the Molokai strait in Hawaii, a deadly Portuguese ‘man of war’ stung him and yet he still went on to win the rest of the 3.5 hours and completed his journey in agony. As well as raising lots of money for charity, Adam Walker has also had global coverage on the BBC, ITV, FOX TV, Channel 10 and many other stages so is well respected and hugely popular in his field.